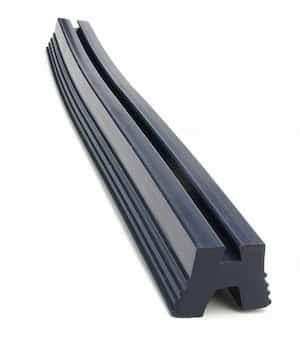 Kismet Rubber Products is a leading extruder of custom parts, specializing in EPDM extrusions. We serve the OEM and replacement part markets, serving electronic, aerospace, healthcare, construction, transportation, appliance, and marine applications. With over 60 years of experience, we have the expertise and application knowledge to manufacture reliable, high performance EPDM extruded parts. Ethylene propylene diene monomer, EPDM, is a synthetic elastomer. It exhibits outstanding heat, ozone, weather, and heat resistance and has excellent electrical insulating properties. EPDM is a lower cost material than Neoprene®, while offering many of the same properties. It is often used for applications that are exposed to outdoor or high heat environments. EPDM does not have good resistance to fuels, oils and chemicals and is not recommended for use in automotive or machine applications. Kismet Rubber manufactures custom products using EPDM.